DirecTV appears to have more than collage hoops on the brain. 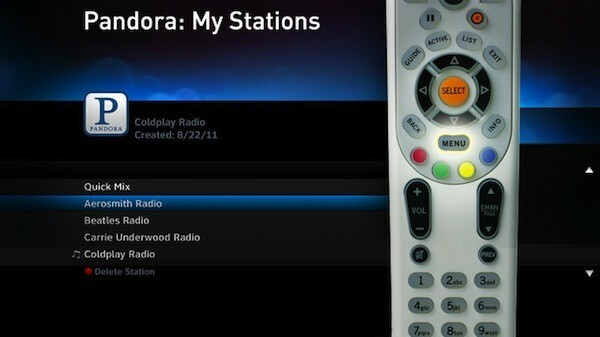 It's just announced a new hook up with Pandora. The newly minted agreement will let you access your favorite tunes via DirecTV's fresh 1080p guide on connected HD DVRs, and naturally it is free. Additionally, you'll be able to search for artists, songs and browse through different genres, as well as set up jam stations to your liking. Those who are interested, simply hit the Menu button and head over to the Extras section where the musical goodies await you.